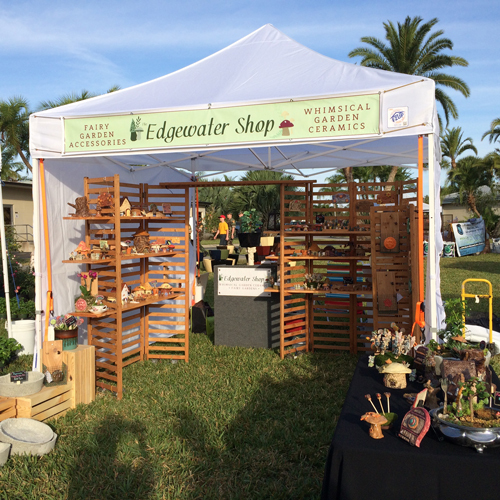 Join me this weekend in Vero Beach, Florida for the annual Hibiscus Festival. I will have lots of new items, fairy gardens, new fairy houses and really fun new accessories! I’ve been working hard to create new items that I’m sure will make you smile. Each piece is handmade with love. I use sturdy stoneware clay so the pieces are very strong and great for outdoor gardens. Each piece is handmade, dried and then fired at a high fire (2192°F). Then I glaze each piece with small paint brushes and lead-free glaze. I fire again at a lower temperature (1950°F) to seal and cure the glazes. 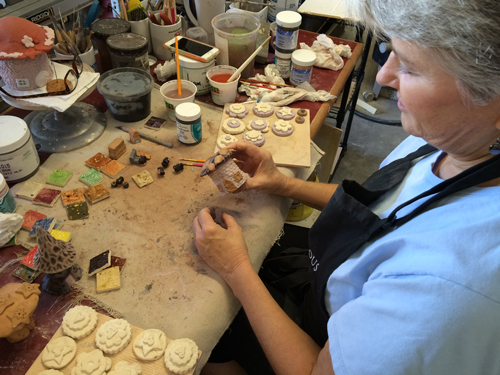 Everything takes time to create as each piece has to dry, fire, glaze, dry and fire again. Once cooled they are ready to enjoy. Look for my green banner this weekend. Our booth number is A19. Hope to see you there!